Halloween was amazing! The weather was cold with howling winds and snow just as it should be on such a festive Halloween day. We had a few Halloween activities so Delilah dressed up in her costume on three separate days. 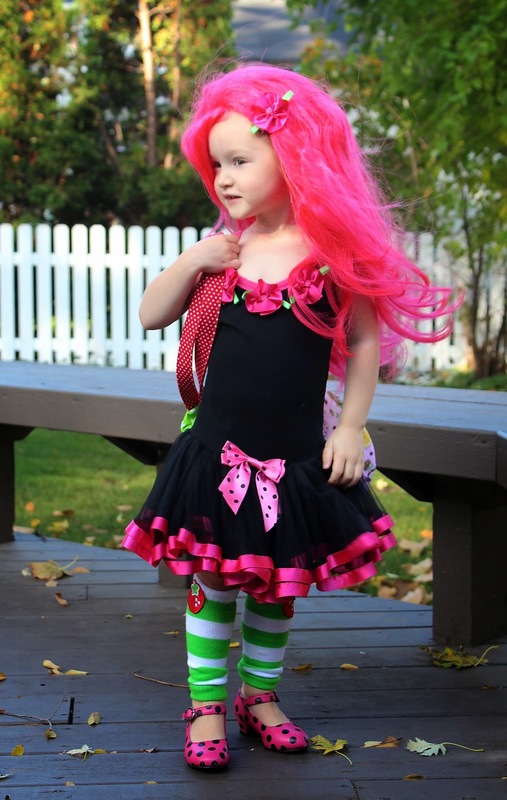 She decided that she wanted to be Strawberry Shortcake this year for Halloween. 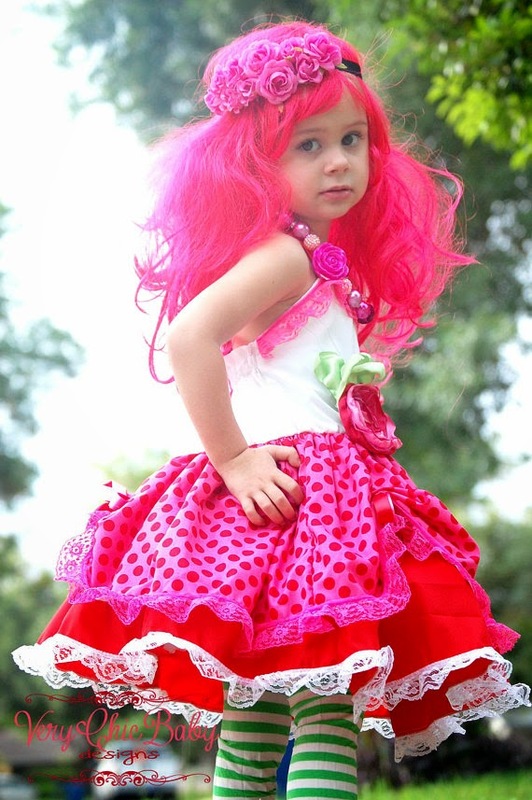 As a child I also loved Strawberry Shortcake and I was so excited to design her vintage/classic Strawberry Shortcake look. After spending a few days together looking at style ideas online, Delilah told me over and over again that the vintage/classic Strawberry Shortcake outfit was for babies and it just wasn't her style. She has very strong opinions about her personal style. 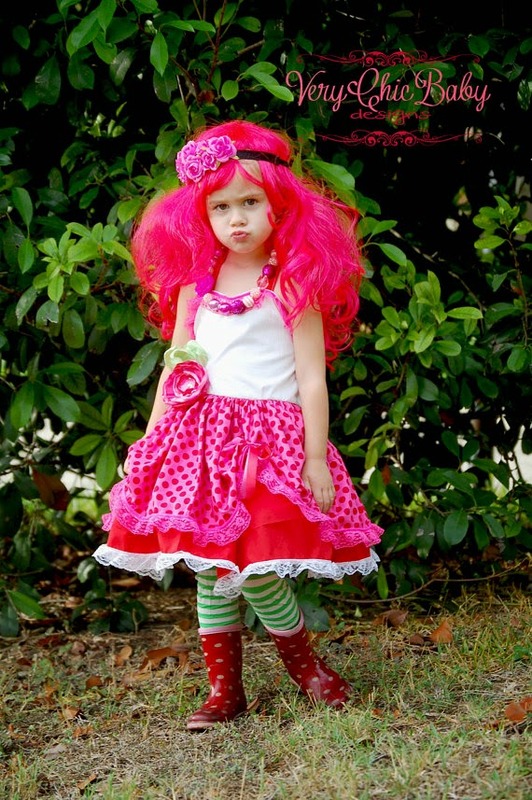 She saw this photo on etsy in a Strawberry Shortcake search and immediately fell in love. She had to have it. This was the exact look that she was going for. I think that the version that we put together from her inspiration photo turned out even better. She had this dress in her closet that she was recently given from a friend. I had the adorable hat made from a fabulous site on etsy. We found the wig & leg warmers at party city. We had a summer & a winterized look since the weather for our Halloween events fluctuated from 80 & sunny to 30's & snowing. Her shoes for her summer Halloween look were a gift from my brother from Spain. They are her absolute favorite. They are traditional Flamenco dancing shoes. 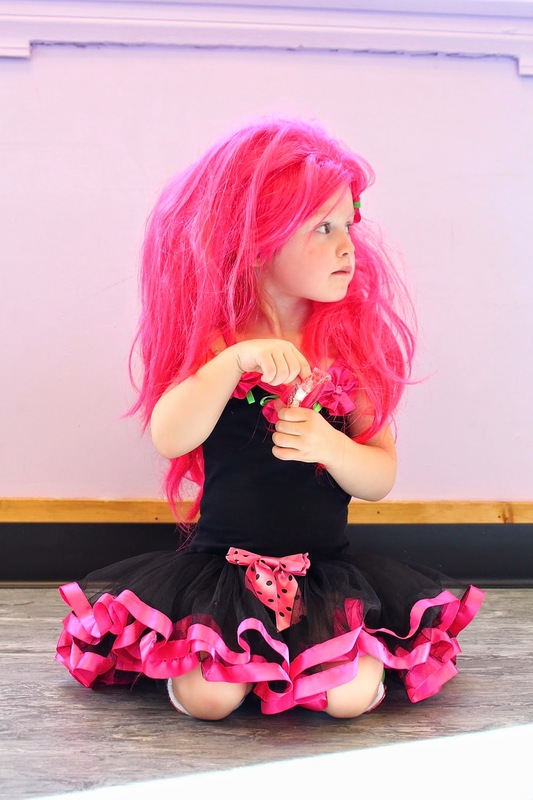 Her dance teacher was very excited & impressed when she showed up to her dance class Halloween class wearing them. My mom made her special Strawberry Shortcake treat bag. On the Saturday before Halloween after her Halloween dance class, the town that her dance studio is in had a wonderful trick or treating event in there downtown area. 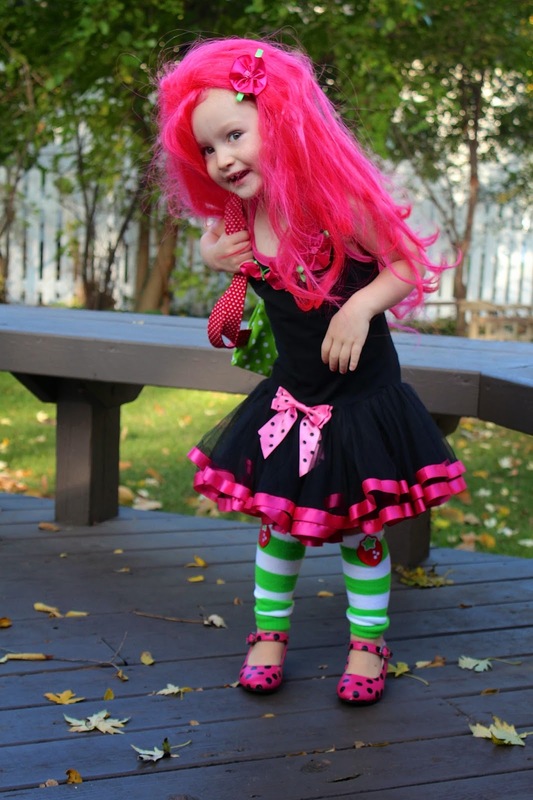 There were hundreds of children in fabulous costumes trick or treating from store to store. The shops were amazing and Delilah had so much fun running from store to store and showing off her look. She was really proud of her costume and loved all of the special attention. The night before Halloween, she got dressed up again and we went to a nursing home with her dance studio to perform Halloween dances for the residents. 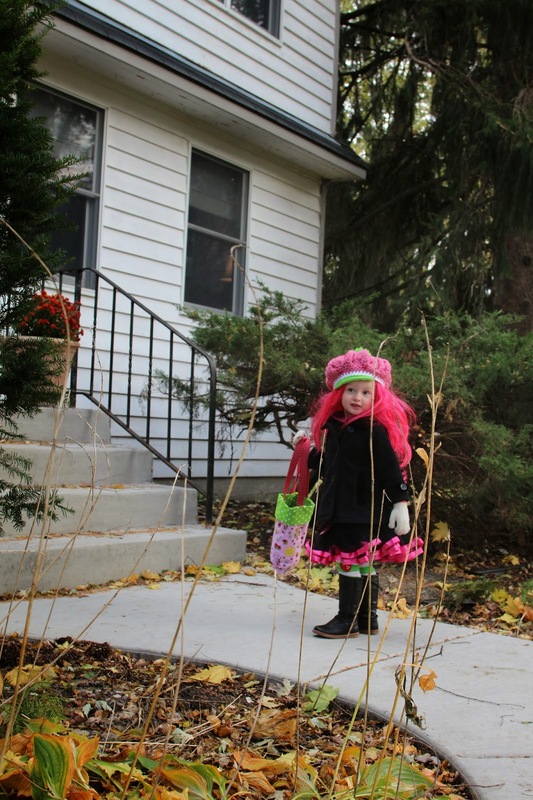 There were about 50 adorable little girls ranging from 2-5 in their fabulous costumes. Each class performed a Halloween themed dance and it was extra special. I'm so impressed with her studio for putting together such a wonderful event. Halloween morning and afternoon Delilah & I spent inside listening to the winds howl while we relaxed and watched Halloween shows and did Halloween activities until Papa came home. Patrick came home with way to much candy that at 32 weeks pregnant I was definitely going to overdose on. Thankfully he helped me out with that. Trick or treating hours started at 2pm but the trick or treater's really didn't start coming around until 4pm. 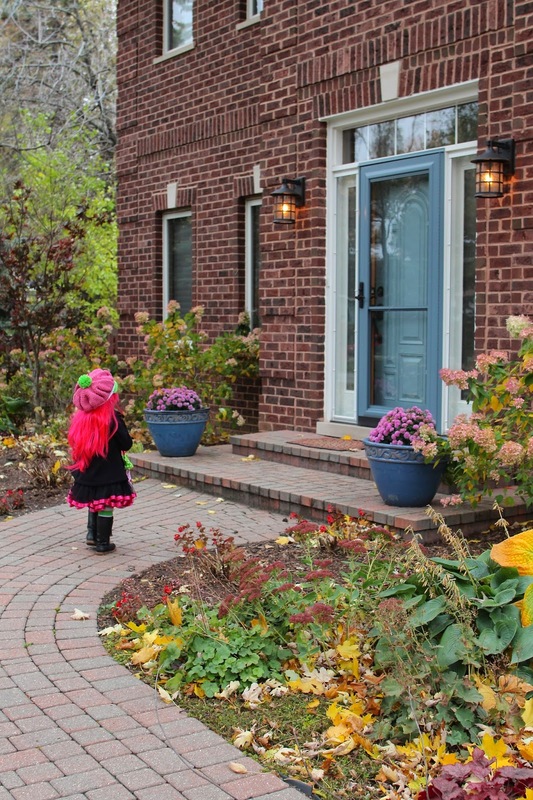 We left a bowl at the door filled with candy while we went out to trick or treat with Delilah. I was so impressed as I saw so many children come to our door and take two pieces. Not one child dumped the entire bowl into there huge pillow case filled with candy. Delilah ran from door to door so excited. We were out for at least 2hrs in the cold and snow but we didn't make it to that many houses since Delilah spent most of her time socializing with the home owners when they answered their doors. 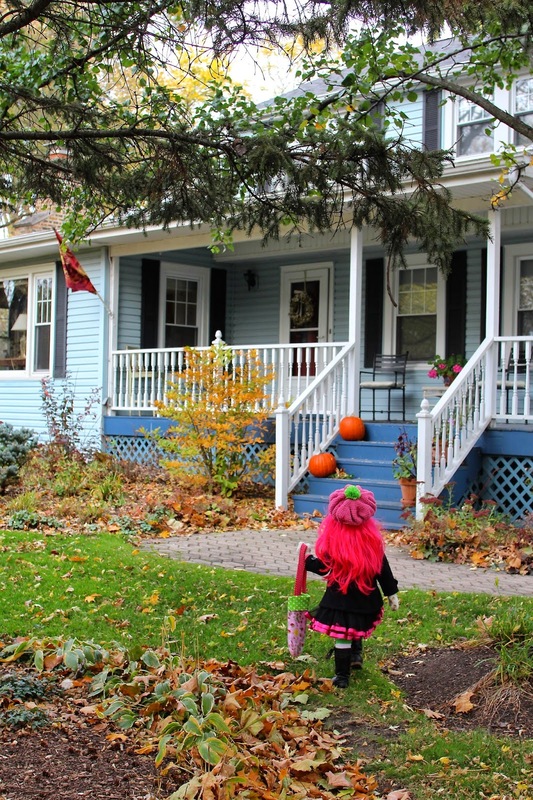 Even though she did not want to come in, we returned home and handed out candy for the last hour of trick or treating. 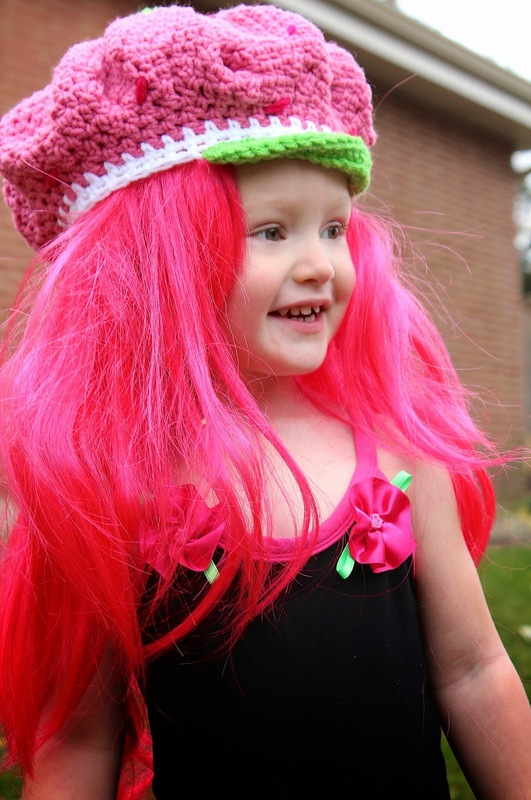 She loved talking to all of the kids, giving them candy and asking the "what you be"? It was adorable. 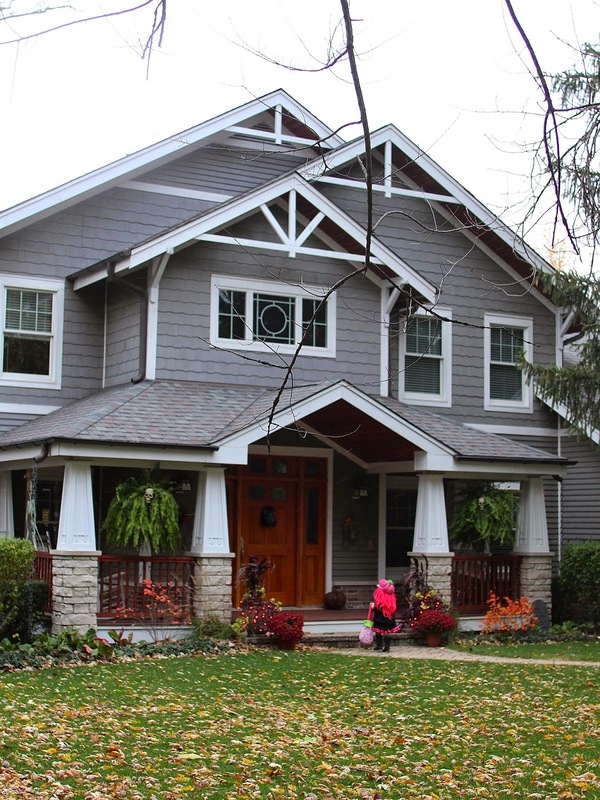 I was highly impressed with our neighborhood. I knew that this would be an amazing neighborhood for trick or treating but it ended up being even more than I anticipated. I can't wait until next year. I can't imagine what big design plans Delilah will have in mind.